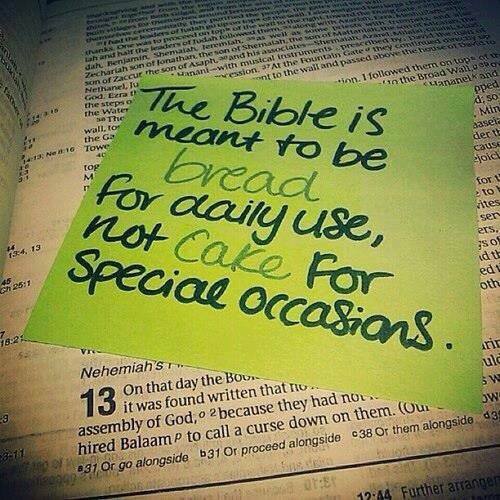 Here is a wealth of information about the books of the Bible in an easy to navigate format. Info about genre, author, date, and title are all easily accessible for all 66 books! This infographic has a lot of useful information on it concerning the books of the Bible. 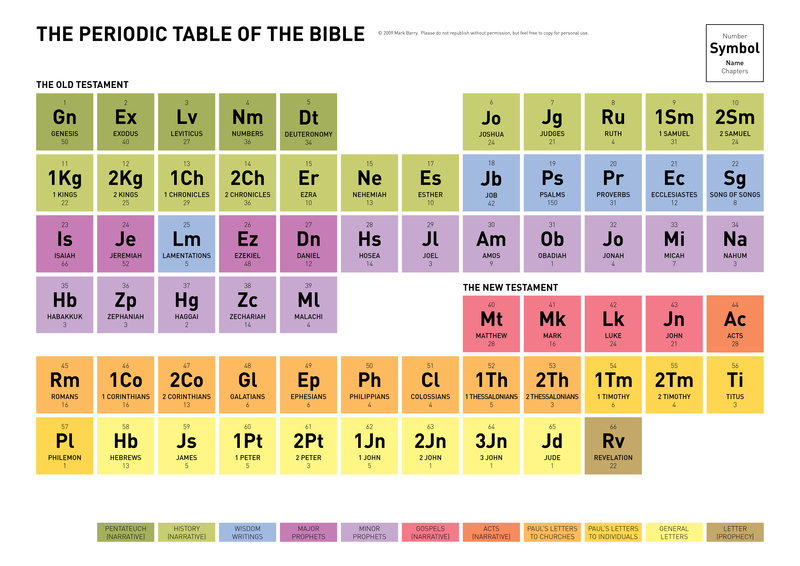 In Periodic Table form, we can see any given book’s position within the Bible, number of chapters, and genre. Cool little resource. Click to enlarge.